10 Unique and Creative Dog Toybox Ideas We Can't Get Enough Of! 10 Unique and Creative Dog Toybox Ideas We Can’t Get Enough Of! There are more than a few dog toybox products out on the market, but recently while looking for one for our home, I came to realize that a lot of them just don’t cut it. They limit access to toys, they allow for bacteria to collect, they are too tall…the list goes on. 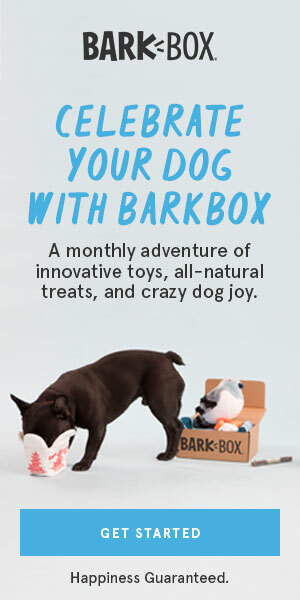 So, I set about finding some of the best dog toybox ideas, check them out! 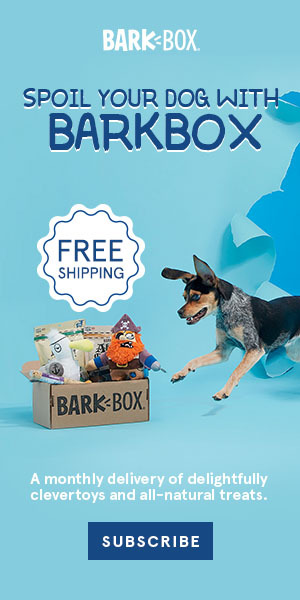 10 Dog Toybox Products We Love! A pretty basic and affordable option, this plastic stackable storage organizer makes a great dog toybox. Made from plastic, this organizer can easily be wiped out (you know…when those tumbleweeds start taking over!) and the completely open front makes it easy for your pup to choose their own toys! The two drawbacks of this 12.2 in. L x 9.5 in. W x 5.5 in. H heavy duty plastic container is that 1) it’s rather small so you’ll probably need a couple throughout the house (no problem it comes in a set of 3!) and 2) it lacks ventilation around the container so it’s possible you’ll get stinky toy buildup! This is another set of three stackable baskets that you can place around the house and they feature ventilation holes around the basket. The tradeoff? You’re losing that heavy-duty plastic and get a flimsier container. These containers do come with handles, though and a slightly larger lip at the front to keep toys inside the bin a little more easily. Measuring 13-Inch L by 10-Inch W by 8-Inch H. each, this isn’t the best solution for big dog toys or the pup with far too many toys, but having multiple dog toybox containers can help with that. I included this dog toybox idea for those of you who dislike the plastic look of the other toy boxes on the list, but to be honest, this isn’t a toy box we would consider getting. Why? Because it’s made from wicker and we’re a lab-loving family so it’d be likely to last all of about 5 minutes! If you don’t have a chewer, however, and you are still looking for a drop-front dog toybox option, this large pantry basket might just work. Available in two sizes, I’d recommend going for the larger of the two which measures in at 14″L x 11.75″W x 8″H. Another stackable plastic solution with ventilation, this looks like something you might set up in your children’s playroom to hold their toys. I like that this dog toybox idea has legs to lift it slightly off the ground and that it has ventilation all the way around it. The plastic of the bins is not as thick as the heavy-duty plastic in #1, but it seems to be a little more sturdy than the plastic in #2. The size of each basket is 17″L x 12.2″W x 9.2″H inches. This is a larger toybox option overall but you may still want to purchase two if your pup is a toy hoarder. Also keep in mind that while the product image shows two baskets, you’re only going to get one when you buy it! This set of two storage bins combines the design of #1 with similar material as #4. These baskets don’t have handles on them, but they do have small feet and ventilation all the way around. The drop-front is also quite low making it easier for smaller dogs to reach in and choose their favorite toy. Available in pink, blue, or green, each of these baskets measures 14″L x 9″ Upper Width x12″ Bottom Width x 8.66″H. Although these baskets can be stacked, that does make it harder for your pup to reach inside, so I recommend placing the two dog toybox containers in different areas of the home. Although expensive, I have to admit that this is my favorite dog toybox option if your dog keeps their toys in a room of the house that isn’t your main living room (or if you don’t mind having this piece of furniture in your living room!). Originally designed for a child’s bedroom, the two toy boxes offer plenty of storage that is accessible by larger dogs and two additional storage areas above are ideal for holding other items your dog needs regularly – diaper supplies, collars, clothing, etc. Available in an oak or a white finish (you can always paint it if you prefer another color! ), the overall dimensions of this piece are 41.1″L x 15.5″W x 32.8″H. I was iffy about including the toy hammock in dog toybox options because I worry that your dog could become entangled in it. That said, if you only allow your dog access to the hammock when you are home and you don’t allow your dog to wear their collar in the house, it might be a viable option (note that I said MIGHT!) The reason I did include this option is because the height can be adjusted to suit dogs of all sizes and it can hold rather a lot. An affordable solution to toy storage, the hammock measures 72″ L x 48″ W x 48″ D and costs under $10, but again, I’m just not sure I’d want to leave a pup alone in the room with one if they are prone to investigating or generally making trouble! This dog toybox idea is ideal for my giant breed lovers. When you have a massive dog who has massive dog toys you need plenty of storage space and the Little Tikes toy box is a great solution. There’s a lid to keep messy toys covered when company comes over and although the box is quite tall, it’s no match for your giant pups! Measuring 20″W x 30.5″L x 18″H, this toy box is made with heavy duty plastic and can easily be wiped clean, it’s just not the most aesthetically pleasing option if your dog keeps their toys in the living room! If you’re looking to go all out on your dog’s toybox and you want something that’s practical, functional, and that will look great in any room of your house, I recommend the wine barrel toy box. Made from a recycled oak wine barrel, this tub has a drop-front to make accessing toys easier, yet at 27″ W x 13″ D x 14″ H it’s large enough to hold plenty of toys. 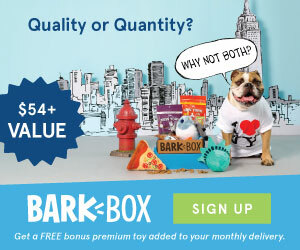 I absolutely love this dog toybox option, but it is quite pricey particularly when you factor in shipping too. That said, it is a handmade product and a lot of work goes into creating it and when you purchase you are supporting a small business, so if you can afford it and want to grab one, go for it! 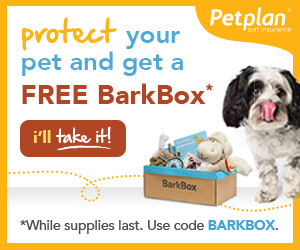 Have a great dog toybox that you’d love to share? Leave a comment below and let us know what it is! Previous There's a New Dog in the Family! 5 Dog Products We LOVE And Why!